Overall matte laminated with glossy areas! You deserve a truly Unique Business Card! Writeable business cards for appointments. If you are enthusiastic about your business and its image, others will be too! 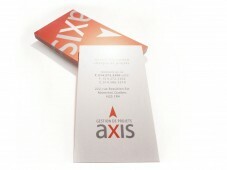 It all starts with a well designed & printed business card. These are great Quality Value Business Cards printed in Full Color which means you can add as many colors or images that you want with the choice of printing one sided or two sides. Our standard cards are printed on 14 point bright white card stock, with vegetable inks and water based varnishes. Our premium Business Cards are a step above, offering a variety of finishes; Rounded Corners, Matte Lamination, Gloss Lamination, Ultra smooth lamination and UV Spot Varnish. 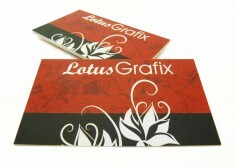 These cards are thicker then the standard and offer a more upscale tactile feel. These business cards look very high end but are actually extremely affordable. 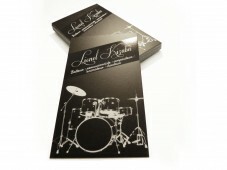 We have amazing finishes such as Metalic Foil Stamping, Embossing, Custom Die Cutting, Rounded Corners. Printed in full color with Matte Lamination, Gloss Lamination or Matte Lamination Plus UV Spot Varnish. We offer many other options, if you do not see what you are looking for - please feel free to contact us for a custom quote. Your business card is the first, and often the only, promotional material that a potential client or customer receives from your business. That’s why it’s critical that your business card not only makes a good first impression, but also effectively communicates why potential customers should do business with your company, rather than with your competition. 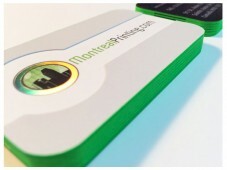 Printing professional-looking and informative business cards is what Montreal Printing.com is all about. In order to maximize the value of your business cards, you want to ensure that those who receive your business card, keep it! That’s where Montreal Printing comes in. 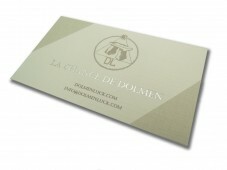 We can meet all of your Montreal Business Card Printing needs. 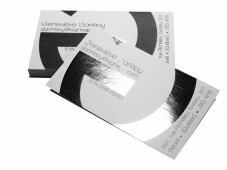 Montreal Printing helps business card customers create professional business cards that make a memorable impression and a lasting connection to their customers or prospects - every time.